“You know what happens when atheists take over—remember Nazi Germany?” Many Christians point to Nazism, alongside Stalinism, to illustrate the perils of atheism in power. 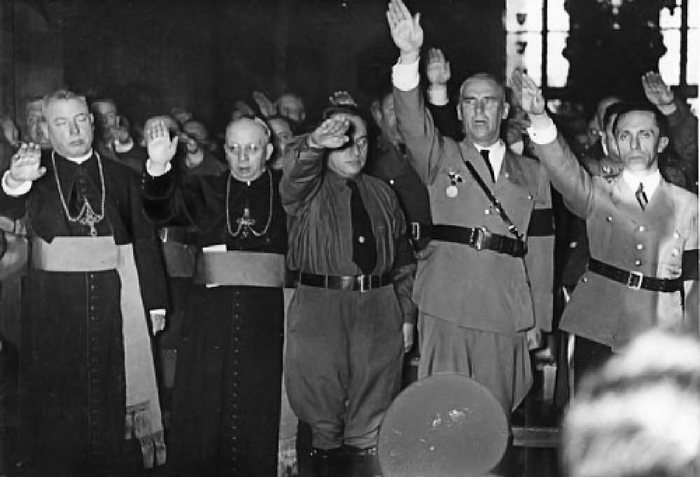 At the other extreme, some authors paint the Vatican as Hitler’s eager ally. Meanwhile, the Nazis are generally portrayed as using terror to bend a modern civilization to their agenda; yet we recognize that Hitler was initially popular. Amid these contradictions, where is the truth?